Quality refurbished telecoms equipment offers the perfect balance between cost control, maximum compatibility and flexible telecoms infrastructure spares growth. More importantly still, your comms system will align perfectly with our current business strategy. Whether you need a single module, or a fully configured second-user system, we can help. • Lower in cost than new systems sourced direct from the OEM. • Greater availability of refurbished spares reduces lead times for sourcing replacements. • Our team of professionals have access to over 6 million items from all of the major telecoms vendors. • Every refurbished unit goes through a screening process as part of our standard quality control process. • Refurbished hardware is supplied with a minimum 3-12month warranty on a fix/replace/refund basis. • We are fully ISO 9001 and ISO 14001 certified, guaranteeing the quality of our processes and parts. • Being vendor-agnostic, we can supply parts for all your telecoms equipment. • DWDM, CWDM and SDH transmission units. • DMS, S12, EWSD, DX220, AXE10 and 5ESS switches. • WCDMA, UTRAN, CDMA, GSM (2G/3G/4G), UTMS and LT mobile technologies. • IP units providing VoIP, Wireless, Routers, Switches and Modem capabilities. Spare parts management services – Telecoms Traders are more than the usual suppliers of used and refurbished telecoms equipment, Telecoms Traders are your trusted partner for hardware services. 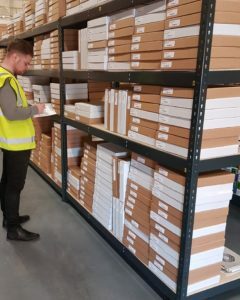 Our multi-vendor spare parts management solutions cover everything, from inventory management, warehousing and logistics to ensure you have the parts you need, when you need them. Spare versus repair advice service – typically, OEM repairs can take days or weeks to complete, particularly for older, post-warranty units. Telecoms Traders can help you calculate the overall cost of downtime caused by waiting days for an OEM repair, and compare that cost to sourcing a refurbished spare, you may be pleasantly surprised. We can provide spare versus repair advice across multiple platforms, and network layers in any combination of fixed line and mobile networks. Increase ROI on your telecoms assets – partnering with Telecoms Traders gives you access to over 6 million items in our global spare parts inventory. We can supply spares for telecoms hardware from most vendors, including Ericsson, Nortel, Nokia, Huawei amongst many others – so you can keep existing systems in place for longer. By exiting the OEM’s standard refresh cycle, your business regains control of its telecoms infrastructure. And by not avoiding new capital investment, you can realise greater return on investment from existing comms assets. Fully-compatible network expansion – purchasing pre-owned equipment provides a cost-effective way to extend existing telecoms capacity with units that are identical – and thus completely compatible. You can extend your network in any way you need and reduce the cost of doing so. For more help and advice, and to discuss your specific hardware requirements, please give us a call now on our direct line below..